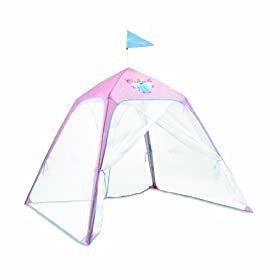 The Thrifty Mommy: Good Deal Alert: Disney Cinderella Tent!! Not sure what it is with all the girl deals over the past few days...but here is another good one!! Amazon has this Disney Cinderella Screen Tent w/flag marked down to just $10.75 from $39.99. That's a savings of 73%!! It also qualifies for Free shipping if you spend $25 or more on eligible items. As with all Amazon deals.....you just never know when the price will change...so if you like it, then purchase it right away so you don't miss out! !